A wonderful coastal treasure waits to be discovered at the DNR Coastal Resources Division (CRD) Headquarters ~~ the Earth Day Nature Trail! 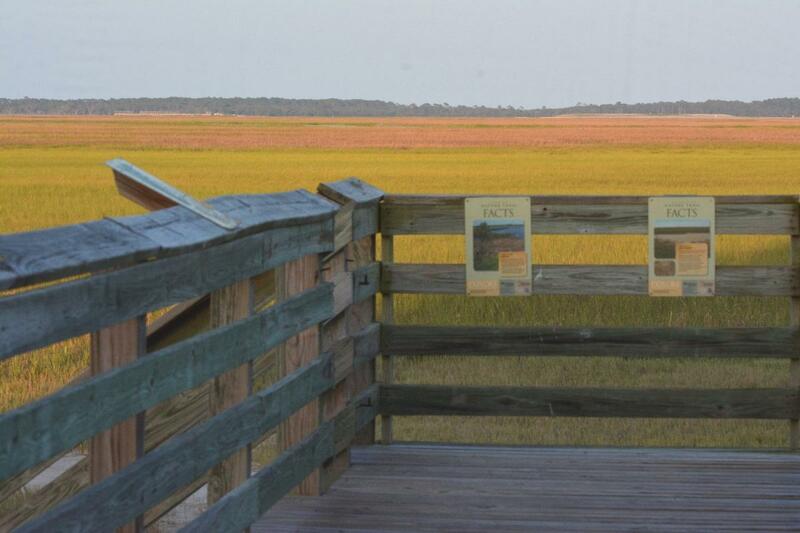 Take a journey through the Nature Trail and Marsh Walk and discover the wonders of our natural surroundings. 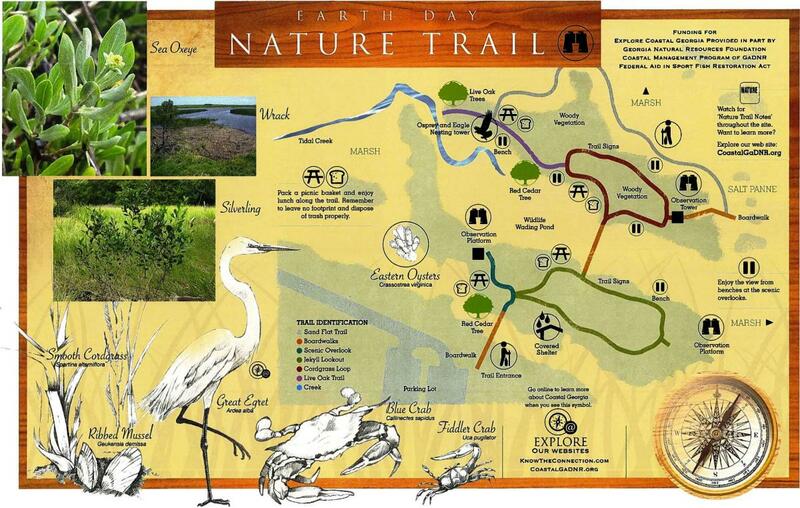 The Earth Day Nature Trail was designed be a self-guided educational activity. An Earth Day Nature Trail Brochure was developed by the DNR to familiarize coastal educators with the facilities and activities offered at the Trail and is available from the CRD Headquarters. This brochure provides information and recommendations to help prepare the teacher or group leader to serve as the trail guide. The prepared leader can create a greater understanding and appreciation by the students for Georgia's coastal marshlands. Click here to download the pdf of the Earth Day Nature Trail Brochure.